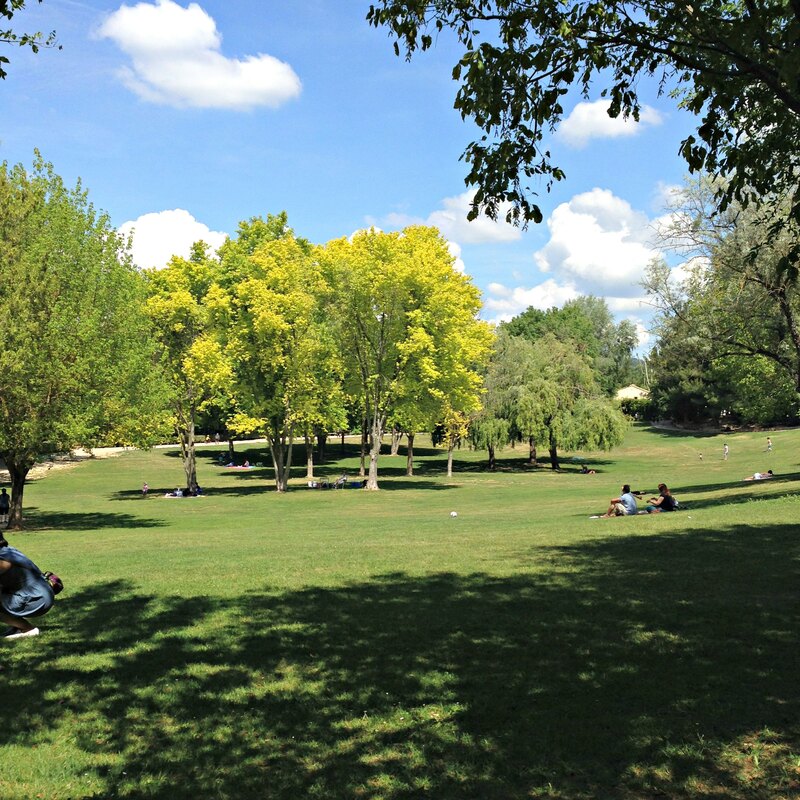 When I was a student in Aix-en-Provence I would run in Parc de la Torse frequently. Now that I’m living with my French host again I’m revisiting these running paths. My first half marathon and subsequent love of running! 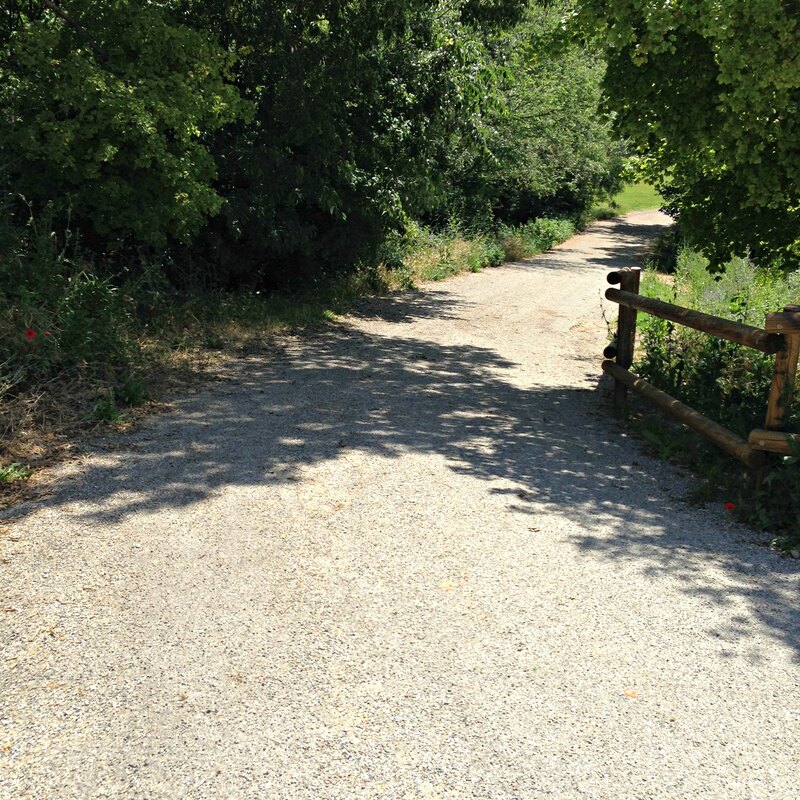 Last week I tried going for a run in my “hometown” park, but I felt sluggish right from the beginning. I have a “two mile rule” for myself when I run. If after two miles I still feel tired/sore/like-I-have-cement-for-legs, then I’ll allow myself to rethink the day’s run and possibly reconsider my distance or pace. Nine times out of ten by the time I’m two miles in I’ve found my stride and I’m ready to rock and roll. Last week was one of those 10% times when I’m just not feeling it. In fact, I only made it one…very slow…mile. After this never-ending mile I thought to myself, “Self, this would be a great time to stretch. You’ll feel better once you’ve had a chance to work out the kinks.” I started my stretching from a standing position, but then I had the brilliant idea to sit down. And from there I thought that lying on my back counted too. And then before I knew it I was waking up about 10 songs later on my running playlist. Whoops! I can honestly say I’ve never run a mile and then accidentally taken a 40 minute nap. It was a wonderful nap though, and coming from someone who’s not a good sleeper that’s saying a lot. My accidental nap happened near these trees in the sunshine. Apparently, it was perfect napping weather! Needless to say, a couple of days later I needed to redeem myself over the weekend. I set out for a 4-miler, but I was feeling so good that I ended up completing the loop 3 times for a total of 6 miles. Here are some pics from this beautiful Sunday afternoon in Aix-en-Provence, France. 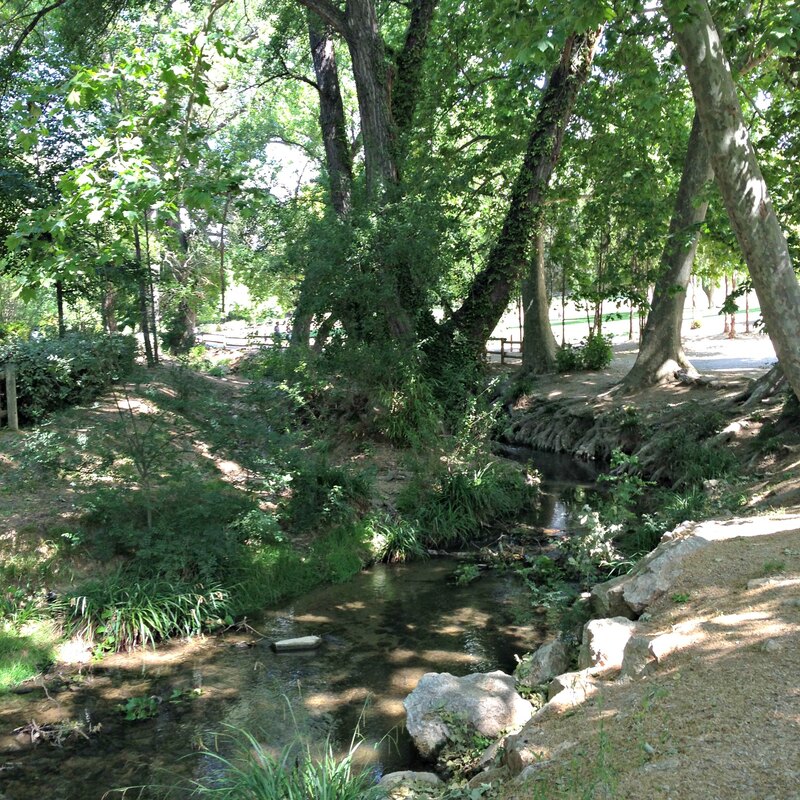 Parc de la Torse has a little creek that runs through it. The dogs in France are typically very well behaved, and many owners let their pups go unleashed. I can’t count the number of dogs that were enjoying the coolness of the water during my run! I ran a few hill repeats on this bad boy. Disclaimer – the photo doesn’t do the hill justice. I promise, it wasn’t a small one! Even though I’m away, I feel we need some puppy influence in this post. Hubs has been a saint and has watched Millie Pup for the duration of my trip. We’re thrilled to have found an incredible doggy daycare at The Spotted Paw, but I’m still really excited to get home and spend time with Millie. 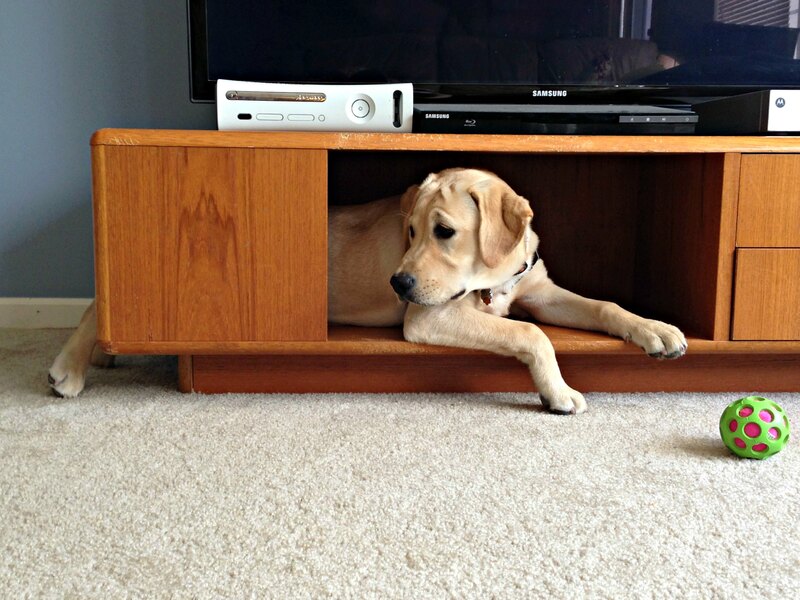 I recently received this cute pic of Millie relaxing in our TV cabinet. She’s enjoyed this space since she was a wee little thing. I have a feeling she’ll keep crawling in here until she’s too big to fit! Here’s the hoping your runs aren’t ending in a nap time – at least not one that isn’t already planned! Oh my gosh, too cute!! I love your puppy!! What a sweetie!!! Hehe!!! Also, I love the 1 mile + 40 minute nap!!! That sounds really relaxing!!! Love it!! Will try!! Isn’t Millie a cutie? She’s losing her baby teeth and I’m hoping this means she’ll stop eating the furniture 😉 And yes, I highly recommend the 1 mile run + nap. It’s a win every time!! Your accidental nap was pretty comical! Glad you’re enjoying your time abroad. I’m glad you like it! I thought an accidental nap was too funny not to share 🙂 Headed back to the US on Friday. It’s bittersweet to leave, but I’m looking forward to sleeping in my own bed again! I love to run in places I haven’t run in a while, it always brings back such nice memories! It’s so true! Rerunning places is kind of like visiting an old friend 🙂 Love it! !